Every month Bon Accord Glass receive letters of satisfaction. In fact people who choose us are often so pleased with their purchase and the unbeatable value for money, they do not hesitate to recommend us to family and friends. Have a look through a small selection of reviews we have recently received. 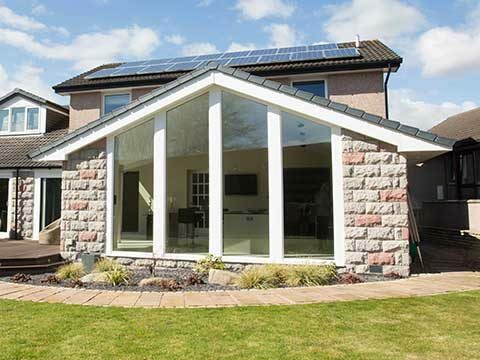 We had an extension built by Bon Accord with large Sunflex doors and skylight windows. Bon Accord also installed our amazing German kitchen. We are 101% pleased with end result. Staff were friendly and efficient which gave the whole project a feeling of confidence. As with any project we did have a few hitches but they were resolved straight away. We can't describe how happy we are with the end result...fantastic! 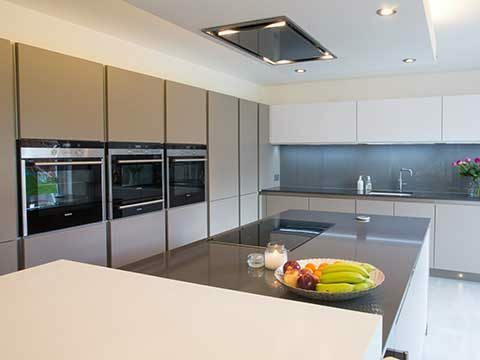 Kitchen installation - There are 3 main points Design, flexibility and communication. The Design process was excellent allowing a real size view of the options which helps make a decision on which choice to make and the designer’s expertise and experience was invaluable to work through the options. The flexibility to change as I did with fridge after agreeing design, and work dates to allow painting before installation was very welcome. Whenever I made contact, the updates and responses were quick and left me always knowing the state of progress. This provide great confidence in the company. Above these points the installation was very good, on time and quality finish. Also, all the staff were friendly and communicated well. The post installation has been excellent and the Financial zero interest deal. Thank you and you staff for a good installation experience from start to finish. Delighted that the joiners were able to start a couple of days early and work they certainly have, windows and doors in place and the wood for the roof went up today, so very pleased with the progress. Your workers are a credit to you company, they work hard and looking in the back garden everything is left so neat and tidy when they finish for the day, it was the same with the builders, my neighbours commented how they swept outside my house each night before leaving so there was no mess left on the pavement. Because I am not changing anything in the garden the joiners appreciated that I did not want anything lying on the grass for too long in case it made the grass yellow so as you can see from the attached photos they have kept everything off the grass. I am so pleased with the build as you do hear horror stories about mess etc but certainly not in this case. A very happy customer. Just felt I had to let you know how delighted I am with my new windows and doors. I would like to thank Richard for his patience when I visited the showroom with my husband to make my final choices, nothing was too much trouble for him and he steered us in the right direction when making our choices without being pushy. I would also like to thank my two fitters Davie and Jim, when I came home from work I would never have known they had been in the house apart from the fact I had lovely new windows, no mess to tidy up which was a huge bonus after a busy day at work. I recommended Bon Accord Glass to a number of people - one of whom has signed up! All the tradesmen who came to the house were excellent keeping us informed as to what was happening. We also received phone calls from the company asking how we were coping with it all!! Very courteous I thought! They were considerate of our home and usually tidied up afterwards which was super. Excellent company and we absolutely love our new extension, utility room and kitchen. Many thanks. Bon Accord Glass demolished our leaking, deteriorating wood and glass conservatory and replaced it with a modern, stylish sun room with a tiled roof. From initial contact to the finish of the work their service has been excellent. 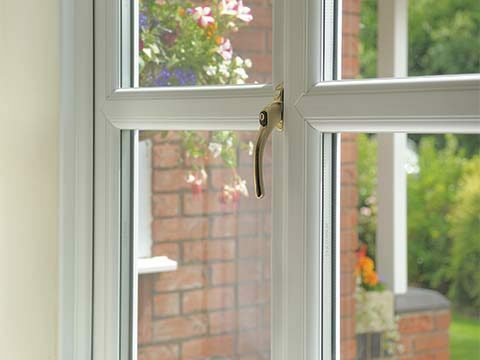 We are delighted with the quality of the workmanship and extremely satisfied with the end result. We recently had a lower ground extension & new kitchen installed by Bon Accord Glass. Everyone who worked so hard on our extension from Neil Wilson, Ian Craig, the Builders Mike, Jamie & Ronnie, Scott & Ryan, Martin & Ritchie, Malcolm, Jim, Bryan our Project Manager planning our Kitchen, Sandy, Trevor & George. All these People did a wonderful job & in our opinion transformed our house into our home which we are absolutely delighted with. They were all very professional, tidy & went well & beyond their job description to keep the whole process of getting such a lot of work done to our house to a minimal of stress. We would have no hesitations in recommending Bon Accord Glass to anyone else thinking of getting an extension or kitchen done. Thanks again each & every one of You for doing a first class job on our home! Went out to the maketplace for a very specific design of sun room/orangerie. 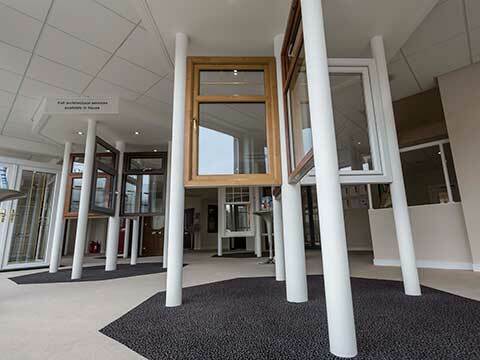 Bon Accord came back with a design that fitted the requirements and delivered an excellently finished product. All the personnel from sales person, designer, site/project manager and all trades people were efficient and professional. WOuld have no reservations on recommending them for such a project. Great service - would highly recommend Bon Accord Glass to anyone. Fabulous installation of my new windows & doors. Cannot fault any of the workmamship or the communication from Bon Accord. Many thanks. Excellent workmanship and there was no mess. Would highly recommend Bon Accord. 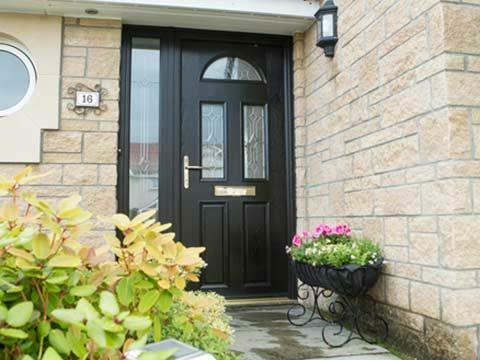 During the process of having our windows, doors, and porch carried out, the workmen at Bon Accord treated our house with great respect. They were extremely clean and tidy and caused hardly any disruption to the household while they were here. All communications were polite and helpful when we asked any questions. All promises regarding the quality of the work, the reliability of the workmen, and the aftersales have been thoroughly adhered to. I would recommend Bon Accord to anyone looking to improve their home . Fabulous job installing our new conservatory. The tradesmen were very helpful throughout the building process and kept everything clean and tidy each night. I would highly recommend Non Accord if your looking for a new conservatory. They are very professional.